The former Johnnie Raye McMillian, received her Bachelor’s Degree from Fayetteville University and a Masters of Education Degree from the University of Miami. After that she was certified by the State of Florida in areas of: Elementary Education, Educational Leadership, Guidance and Counseling, Social Studies, Mental Retardation, and Specific Learning Disabilities. She retired from the Miami-Dade County Public Schools after a 39 year successful career that took her from the classroom to an Educational/Placement Specialist, ESE; Interim ESE Director, Region IV; Interim Principal, Westview Elementary and Summer Principal, Floral Heights Elementary School. 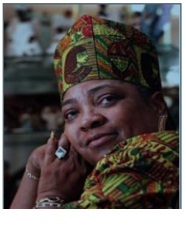 She also served as an Adjunct Professor at Miami-Dade College, Florida Memorial and Nova University. At the Miami Dade County Public School District level, she served as Director, Title I Program and District Director, Alternative Education Programs, where she was directly responsible for Juvenile Justice and Teen Parent Programs. She is the proud mother of three adult children, Ronald, Norman, II and Treska; and the loving grandmother of Amber, Chalice, Khari and Destinee. Adora Obi Nweze is a devoted member of New Harvest Missionary Baptist Church, Miami, FL; member of Gamma Zeta Omega Chapter, Alpha Kappa Alpha Sorority, Inc.; and serves as the Associate Matron, Angels of Adora Chapter #99, Order of Eastern Star, PHA. Her NAACP affiliation includes being a Diamond Life member of the NAACP; President of the Florida State Conference NAACP, member of the NAACP National Board of Directors; member, NAACP Special Contribution Fund/Board of Trustees. She serves on the following National Board Committees: Chair, ACT-SO Committee; Chair, NAACP Education Committee; member, NAACP Advocacy and Policy; member, NAACP Memberships and Units; member, NAACP Convention Planning; member, NAACP Membership sub-committee; member, Environmental Justice/Climate Control Subcommittee; and member, Gulf Oil Taskforce. She was appointed in 2010 as a member, National Advisory Council (NAC), Federal Emergency Management Agency (FEMA) and as Chair, Affirmative Action Committee FL Democratic Party. Previously held positions include: Appointed by former Governor Charlie Crist as Special Advisor for Minority Affairs; member, Search Committee for NAACP President/CEO 2007/2008; member, Federal Communications Commission (FCC) Advisory Committee which developed a Post Katrina Report. 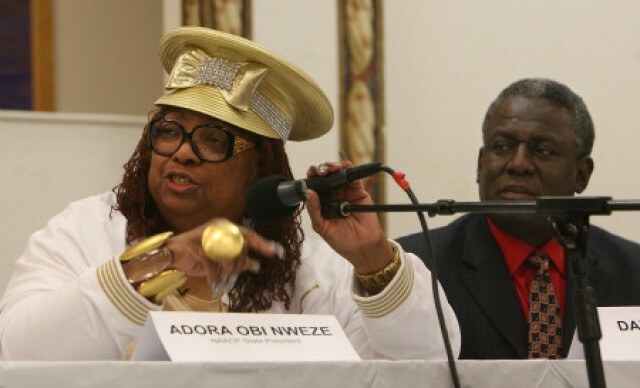 Adora, has served as Chair of the National 50th Anniversary of Brown v. Board and was the President for the Miami-Dade Branch (11 years) and the Opa-Locka Branch (2 years); member, Federal Communications Commission, Special Committee on Post Katrina; Coordinator, Disaster Relief and Region V, Coordinator Women In NAACP (WIN) Committee. She spearheaded lawsuits that were filed by the Florida State Conference to include: the One Florida Initiative, the Voting Irregularities of 2000 and Voter Disenfranchisement, the Department of Corrections, School Vouchers, Felony Disenfranchisement, and Affirmative Action. 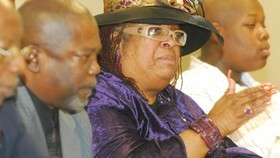 Recently, she has been an out spoken advocate in seeking Justice for the murder of Martin Lee Anderson. 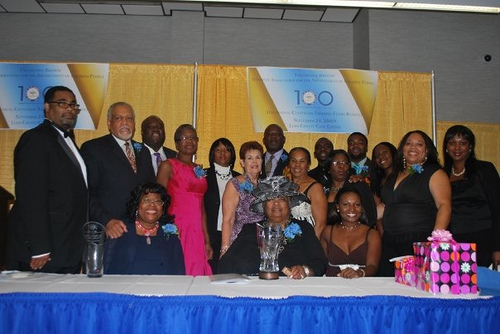 Because of her strong belief in community, she has been successful in building NAACP partnerships with the Florida Departments of Education, Health, Corrections, Juvenile Justice, the Florida Bureau of Elderly Affairs, and the Florida Division of Emergency Management. She has implemented strategies and activities with the Department of Health/HIV/AIDS Division to bring about an awareness of the impact that HIV/AIDS has on the Black and Minority Communities throughout the State of Florida. Adora has been on the forefront for many initiatives to include but not limited to: Successful fundraising efforts at the local, state, region and national levels; organized successful NAACP memberships Drives yielding hundreds of new regular and Life Members; Daisy Bates Education Summit; ACTSO Competitions; Criminal/Juvenile Justice, Religious Affairs, Health, Education, Environmental Justice, Legal Redress, Telecommunications, Economic Development, Veteran Affairs Activities. Adora is also an advocate for youth and increasing young adult participation in the NAACP. She has organized meetings that have resulted in increasing young adult participation with Branch, Youth Council and College Chapters throughout and raised financial support for youth involvement to attend State Conferences, Regional and National Conventions. Also, she organized a State Young Adult Committee. Adora’s community service is legendary. She is a much sought after speaker for workshops and conferences at the local, state, and national levels. In addition, she continues to be an inspiration and role model for those aspiring to be community leaders in the future. She is known as a challenger, motivator and orator, through her demonstration as President of the Florida State Conference NAACP. President Nweze believes that we must proactively seek to eradicate voter apathy in our communities through the dutiful and diligent dissemination of information affecting every aspect of our community. Education, Healthcare, Unemployment, Criminal and Juvenile Justice, as well as Housing are a few of the issues negatively impacting our communities daily that are addressed under her leadership.